Netflix has released a quartet of video character promos for Matt Groening's upcoming animated show; "Disenchantment", featuring the medieval misadventures of a hard-drinking Princess "Bean", her feisty elf "Elfo", and "Luci" her personal demon ... and not forgetting the townsfolk of "Dreamland". Looks to be hella fun! 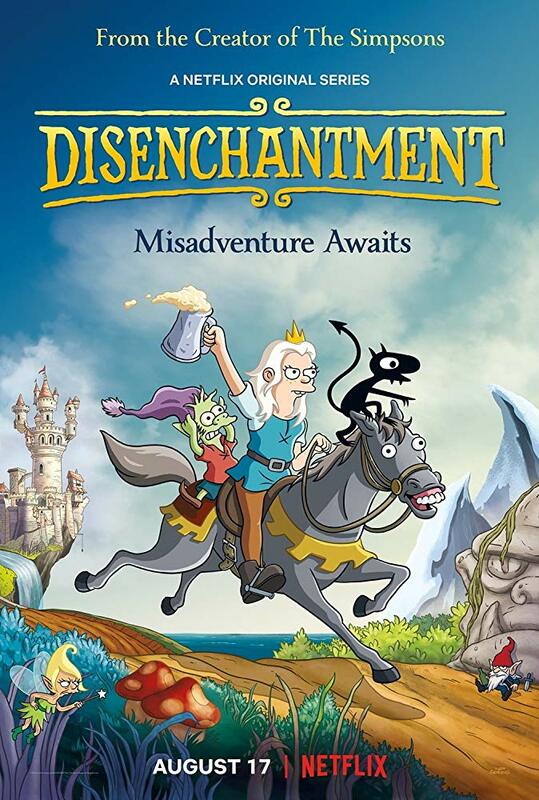 "Disenchantment" premieres August 17th, exclusively on Netflix. Presenting Princess Bean of Dreamland (Voiced by Abbi Jacobson )! Thou better get out of her way. Introducing Elfo Cute. Spunky. Packs a hell of a punch. Elfo is voiced by Nat Faxon. This is Elfo. Introducing Luci (voiced by Eric Andre). He's like a friend, only worse. You thought your neighbors were bad. Meet the townsfolk of Dreamland.